We are committed to a sustainable world, and this is reflected in that we purchase 100% of our electricity from renewable sources. Hydro, Solar and Wind power are our favourite sources of renewable energy, and they are all available to us in the UK – yes, even the Sun shines down on us and not only makes us smile. Imagine the power of the sun, keeping TLC Online creating great websites and printed materials for customers now and in the future. Even our Web hosting servers are powered by 100% renewable energy. They are set to ensure your site performs its best and is lightning fast. As an island people, we are always talking about the weather, especially the amount of rain we get. The power of water released from a reservoir flows through a turbine, spinning it, which in turn activates a generator to produce electricity. You won’t get us moaning about the rain again! Finally, using huge wind turbines to create power has had me fascinated, from a very early age I loved blowing on a plastic windmill held on a stick as I walked with my mum from the local post office. Just watching it whirl around – Wheeeeeee! 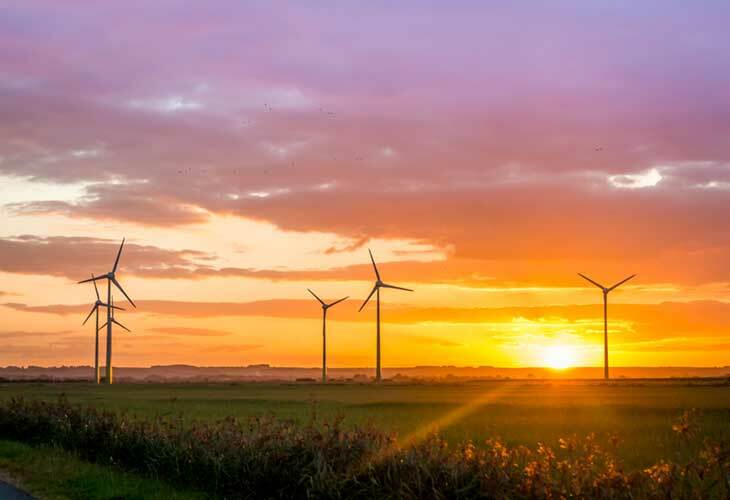 The wind can be harnessed to provide renewable energy appeals to us at TLC Online, as we try to reduce our carbon footprint and be kinder to the planet. Now that should keep you smiling too, by using these resources, our overheads are smaller and is why we can pass on these savings to our customers.